With the May European Elections fast approaching, all the main traditional political parties have finally been forced to nail their colours to the mast and declare where they stand on the question of the UK’s future in Europe. Most would have preferred to remain silent on the issue but an up-swell in public feeling and a new kid on the block in the form of the United Kingdom Independence Party (UKIP) have made continued indifference and silence impossible. The choices on offer can be analysed as falling into three groups. A straight forward Yes/No or In/Out Referendum. The Labour Leader has now clearly associated himself with the No referendum choice irrelevant what his own party members may think. He did attempt moderate this stark non-choice, some might say mask by adding there would only be a referendum if there was a transfer of more powers from London to Brussels but believed this was unlikely. The “maybe” choice is either based on the outcome of a renegotiated terms of EU membership which is unlikely to happen in any depth if at all, by the Conservative Party or a “significant” transfer of power from London to Brussels stance by the Lib/Dem Party. An immediate In/Out referendum following the next general election with the decision to remain in the EU being decided by the People rather than politicians. The No referendum stance is quite clear. It is the same as assuming the majority of the people had voted Yes to stay in the EU had there been one. As there has never been a public decision on whether the UK should be part of anything other that an economic trading group in Europe in 1975, it cannot be seen as anything else other than enforced European Union by political diktat alone. This is essentially what happened in 1992 when significant UK powers were devolved to Europe under the Maastricht Treaty. Politicians fearful of a public backlash from a referendum which a treaty made more likely bent over backwards in an attempt to find ways at preventing a damaging referendum and finally found a loop-hole in calling the treaty more of an accord than anything else. A No referendum is the same as politicians alone deciding that the public cannot be trusted to vote the right way. The maybe choice is really something of a political lawyers paradise in deciding what is a significant transfer of powers or whether a few possible concessions are enough to determine a referendum should or should not be held. Under these conditions the likelihood of a referendum when coloured by political smoke and mirrors arguments is dubious. The In/Out referendum offered by UKIP is the only clear-cut choice being offered to the public by politicians for the first time. All of the choices have even then to be tempered by which political party or coalition forms the next Government and at the moment there is no real discernable groundswell one way or the other in favour of one particular party or another. 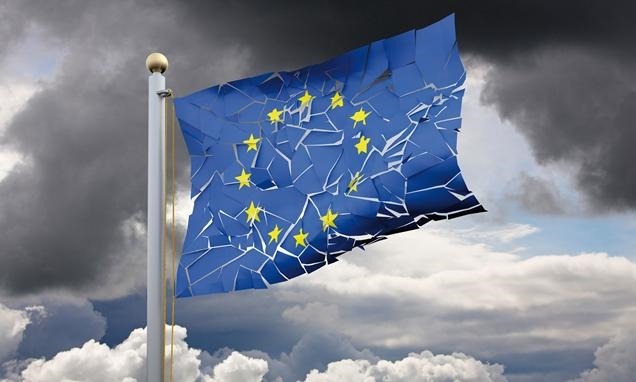 Considering the EU has now grown to the size of an empire, not created by civil unrest or military conquest or even public decision but by political manipulation, one cannot help but wonder what the future holds. We have already seen direct involvement by the EU on sovereign countries in terms of laws and even budgets to a degree. Although not mentioned on anyone’s agenda at the moment, I can eventually fear the creation of an EU army, a EU Health Service and education system and so on. On a day to day basis real power is wielded by a system of unelected commissioners and a unelected president. Monolithic empires created from so many countries with a multitude of diversity amongst their peoples with their own internal customs and beliefs inevitably become susceptible to growing internal discontent as one rule fits all policies are imposed on them. The spectacularly rapid breakup of the U.S.S.R. is the most recent historical evidence of that. It is not difficult to foresee that happening to a future EU.